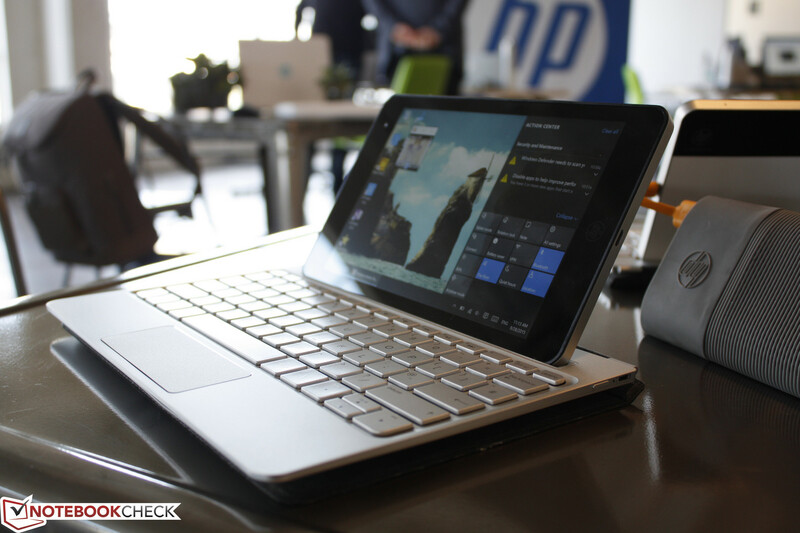 Windows tablets aren't new of course, but this 8-inch 16:10 FHD tablet with stylus and keyboard support is certainly one-of-a-kind from HP. Windows tablets smaller than 10-inches in screen size are generally uncommon compared to its Android counterparts. Lenovo is one of the few major manufacturers to offer 8-inch Windows tablets with the Miix series, but demand has been low due to public perception of Windows 8. In truth, it's hard to get any actual work on Windows when screen real estate is this limited. 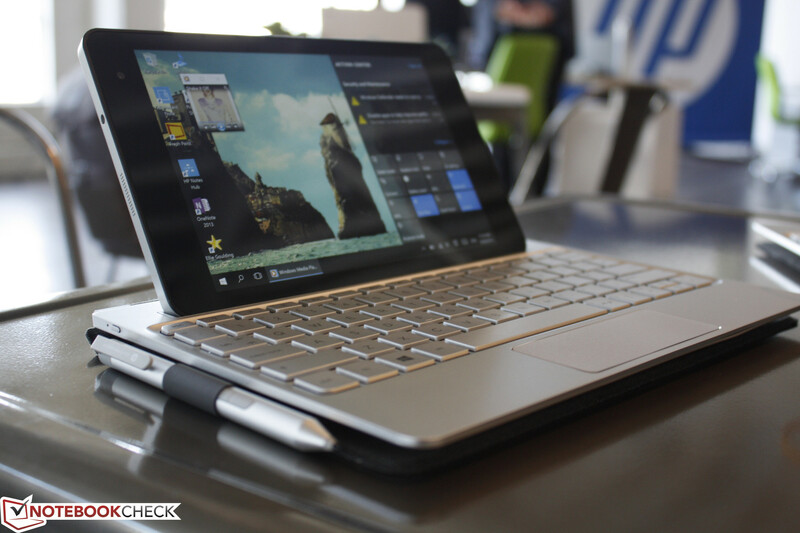 To make the 8-inch screen easier to use, HP has designed a 10-inch keyboard dock with an active stylus holder specifically for the Envy Note 8. Like on the Spectre x2, the manufacturer is addressing the normally poor keyboards on detachables by using Aluminum for the base and increasing key travel to a deeper 1.5 mm. The touchpad is also extra-wide at 34.8 x 9.8 mm in surface area. The underside of the keyboard is also recessed for sliding in the Envy Note 8 tablet when not in use. 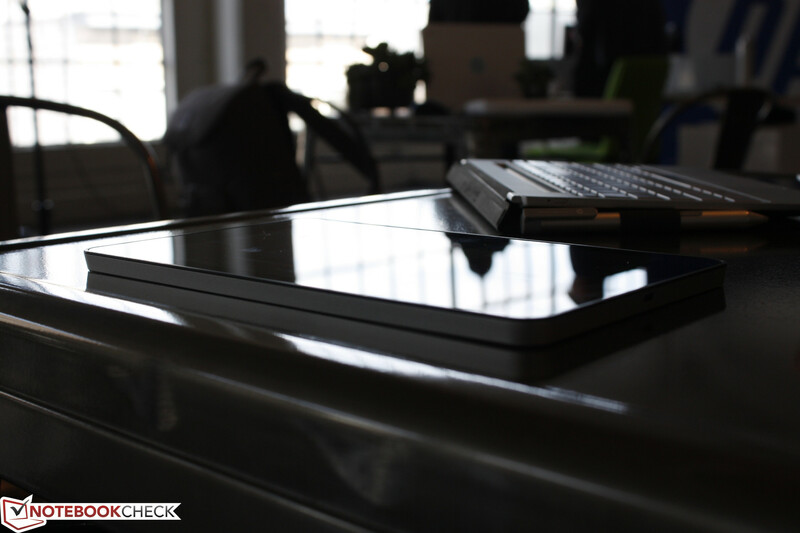 From our short time with the device, we can already say that its keyboard dock is of high construction quality with better key feedback than expected. Nonetheless, there are some key downsides to the sleek Envy Note 8. 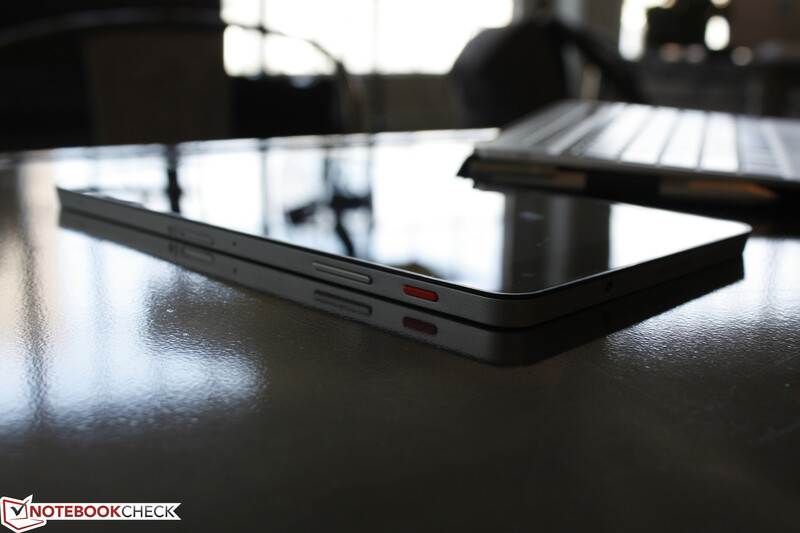 Keyboard size is still quite cramped as anyone who has used a 10-inch netbook can attest. The tablet connects to its base via Bluetooth only and the display angle is not adjustable. Thus, the keyboard houses its own batteries and cannot be used as a secondary battery for charging other devices. 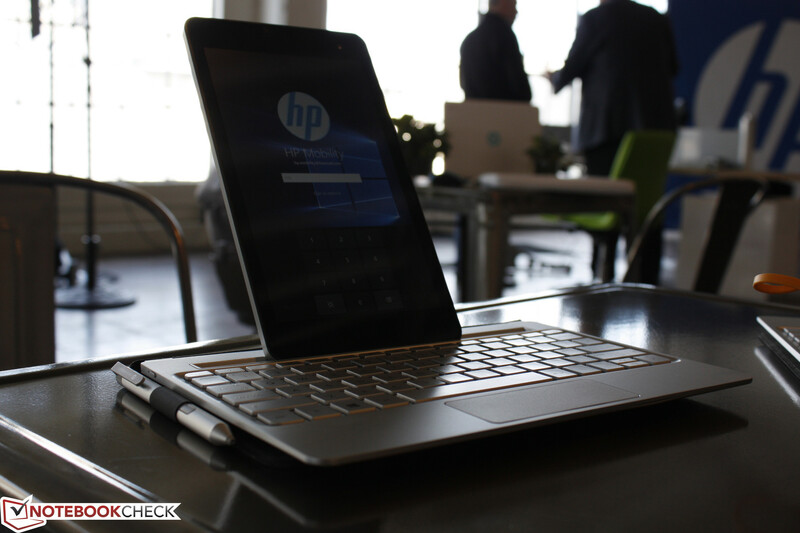 Battery life shouldn't be an issue, however, as HP tells us that the base should be able to last for about a month without needing to recharge. 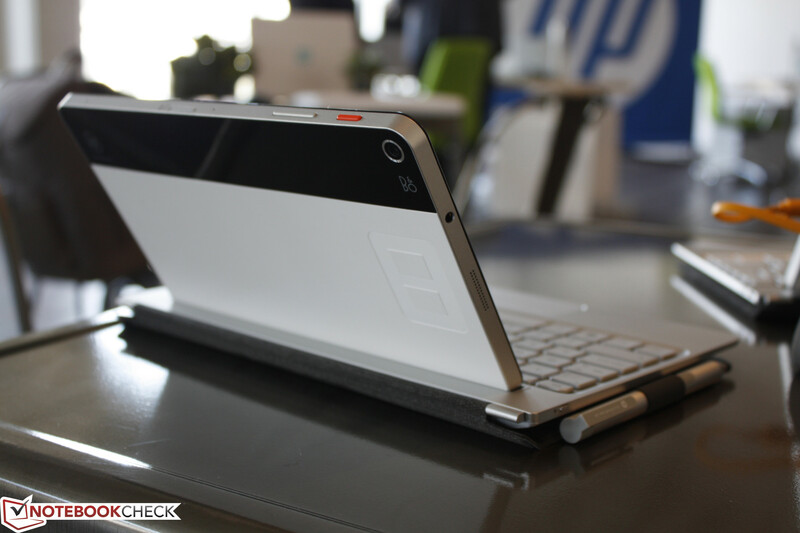 If that's the case, we would have certainly liked to see backlit keys since this is marketed as a premium device. The Envy Note 8 launches later this month for $329 with an included active stylus or $429 with both the stylus and keyboard base. 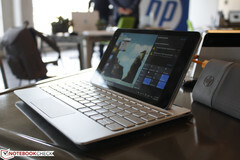 Expect our full review on the tablet and keyboard to follow shortly.